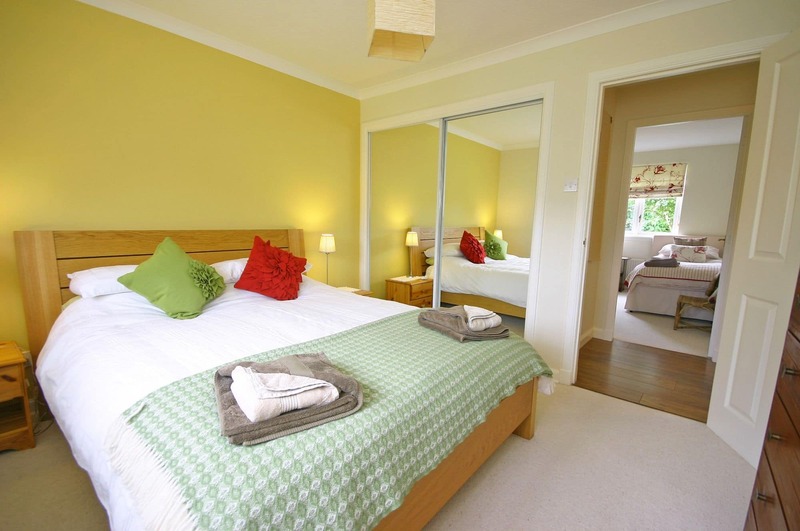 Tomanour is a modern self catering bungalow in the village of Comrie. With easy access to local facilities, sights such as the White Church, River Earn and Earthquake House. Enjoying views to the west of the Aberuchill Hills and to the north, our nearest Munro, Ben Chonzie. It is the perfect cottage for those wanting to experience the beauty of Perthshire and the Central Highlands, with the amenities and atmosphere of a friendly village. 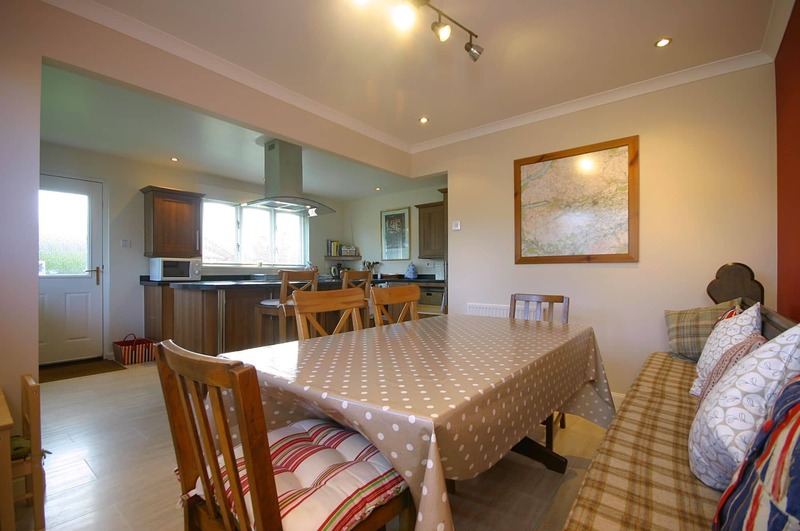 The house is pet friendly, has WiFi and is well equipped for visitors with young children. Parking is available on the driveway adjacent to the property. Access is via a tall gate. To the rear of the property is a private fenced garden and there are steps up to the entrance. The property is all on one level. 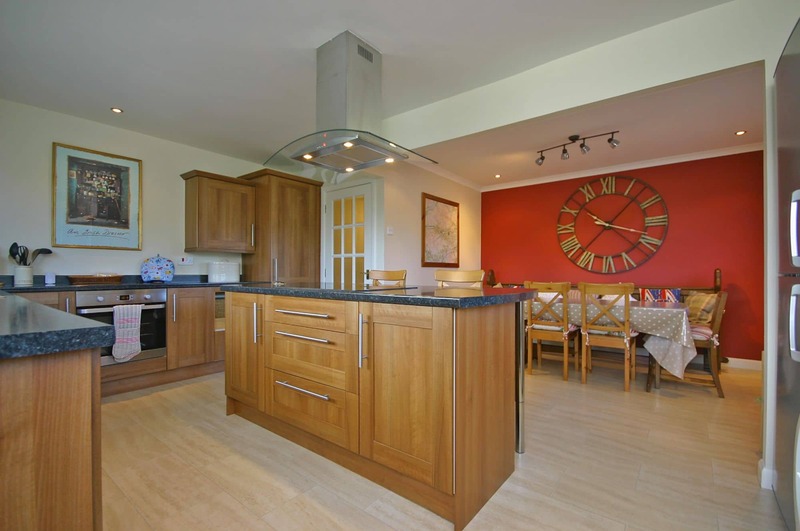 The open plan kitchen and dining area is spacious, bright and well equipped, with a large family dining table and chairs, fridge freezer, dishwasher, washing machine, microwave and digital radio. There is a tumble dryer in the garage. 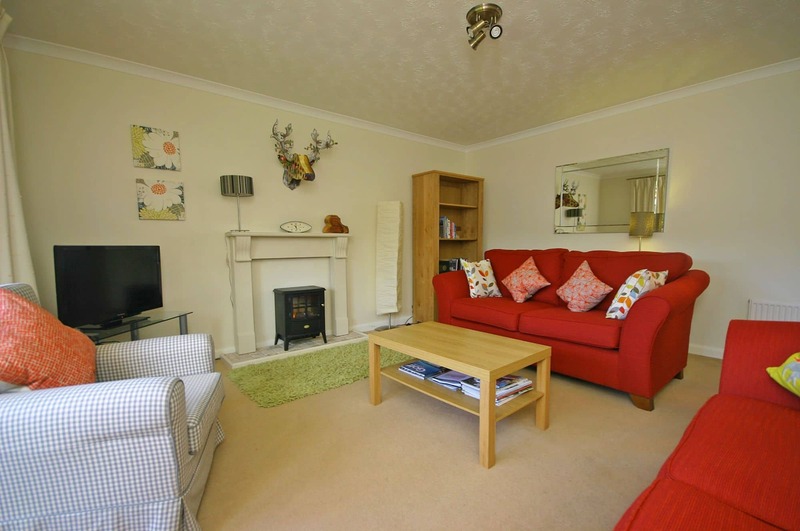 The living room has beautiful views of the hills and is warm and comfortable with two sofas, Freeview television, digital recorder and DVD as well as a selection of books, maps, guide books and games. WiFi is available. The spacious family bathroom has separate bath and shower, sink and toilet. 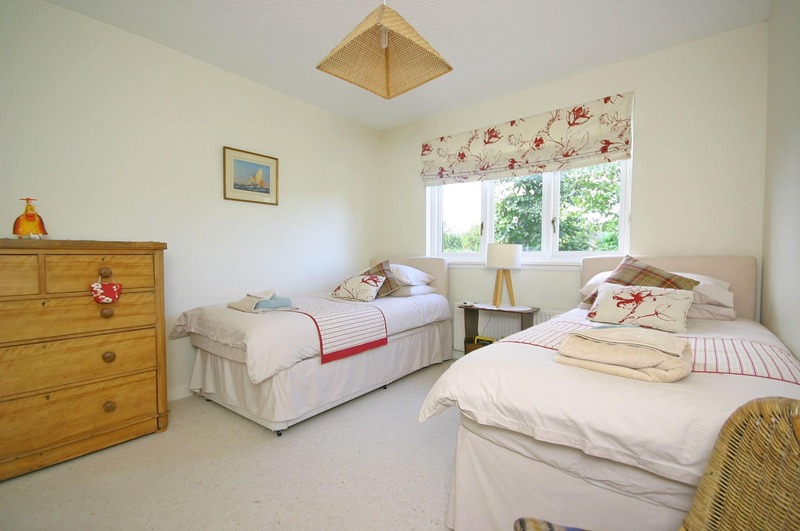 The cottage has a double bedroom with King size bed, a second room with twin beds and a smaller third bedroom containing a cot. There is a short walk to the centre of the village where you will find restaurants, shops, cafes, and a medical centre. There is a 9-hole golf course and walks alongside the River Earn. Sights include the White Church, Earthquake House, and just outside the village the WWII Nissan huts at Cultybraggan Camp.